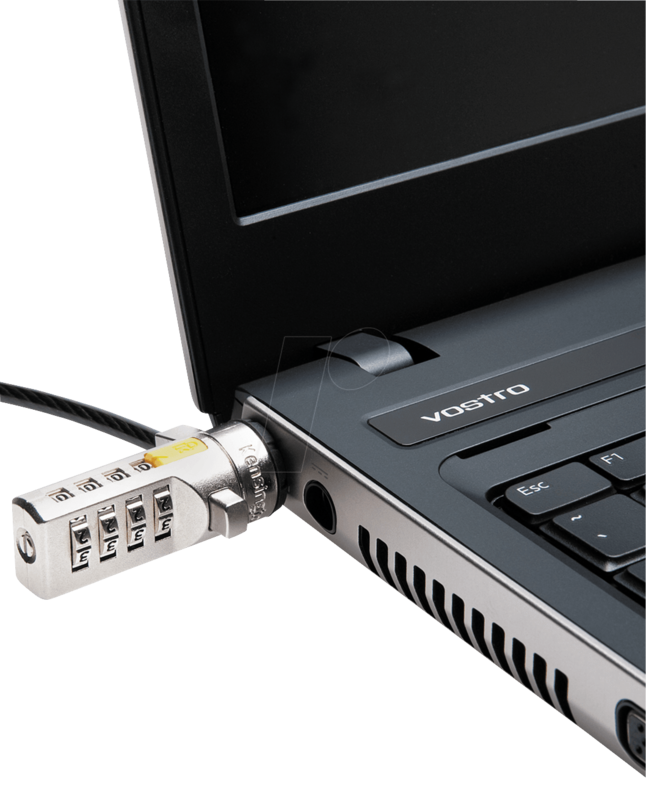 Protect your laptop and personal data with the Kensington ultra laptop combination lock. 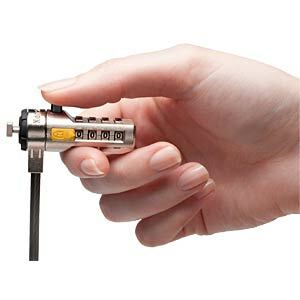 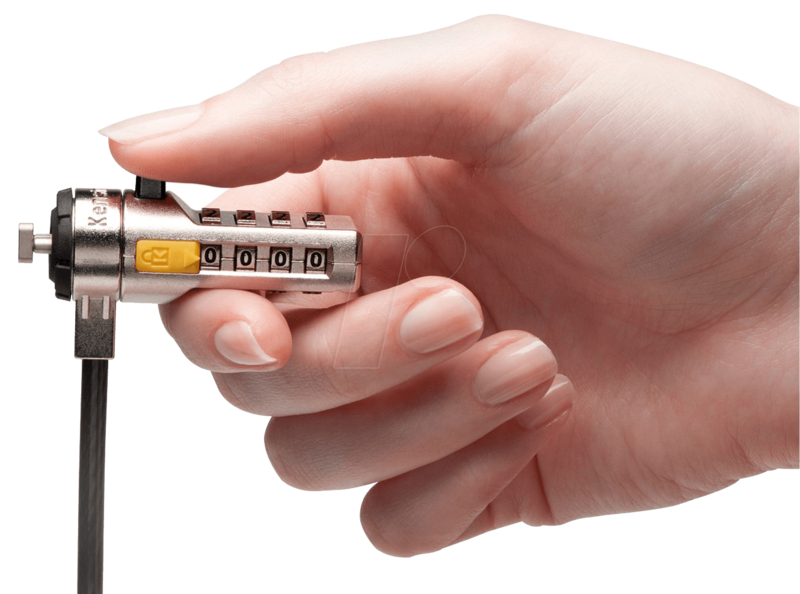 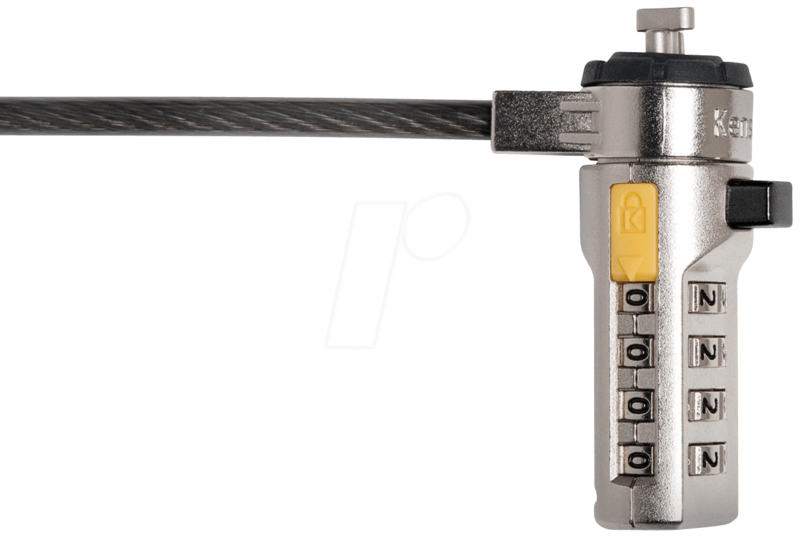 The snap-on mechanism can be attached using one hand. 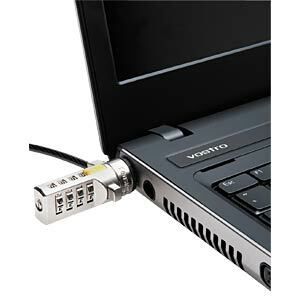 The Kensington T-Bar lockhead secures the lock to the laptop. 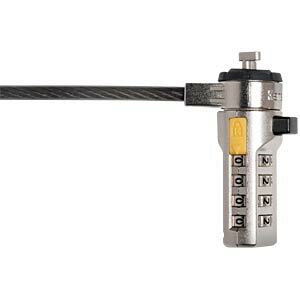 The 4-digit combination can be easily reset and offers 10,000 possible combinations. 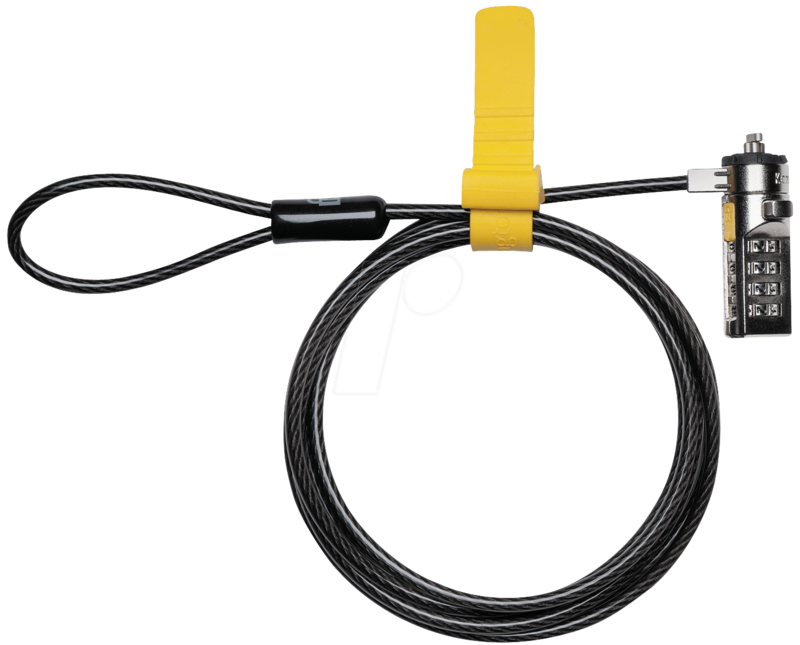 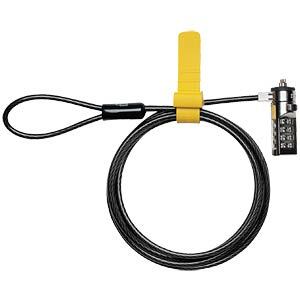 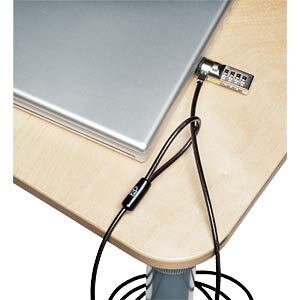 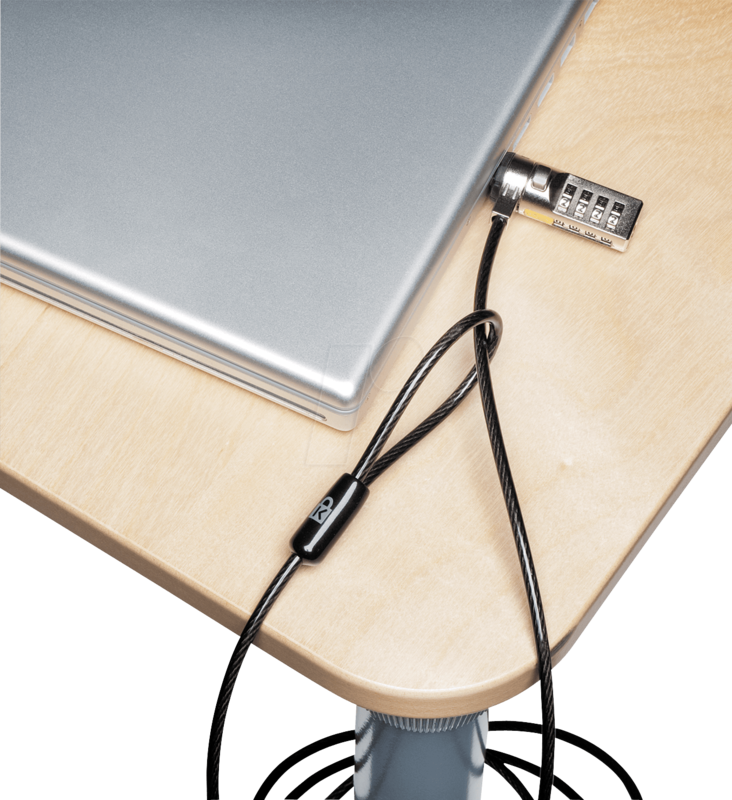 Simply anchor the lock to a desk, table or other fixed object and you are ultra-secure.